Generous seating combined with functional touches makes the Laurelton Collection the perfect addition to your living room. 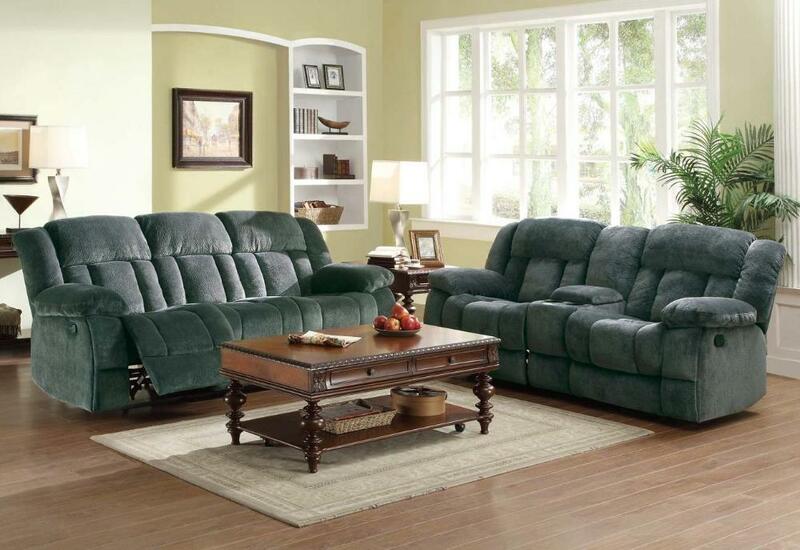 The double glider reclining love seat’s center console features dual cup holders and hidden storage. Plush textured charcoal or chocolate microfiber covers these amply appointed seating groups. 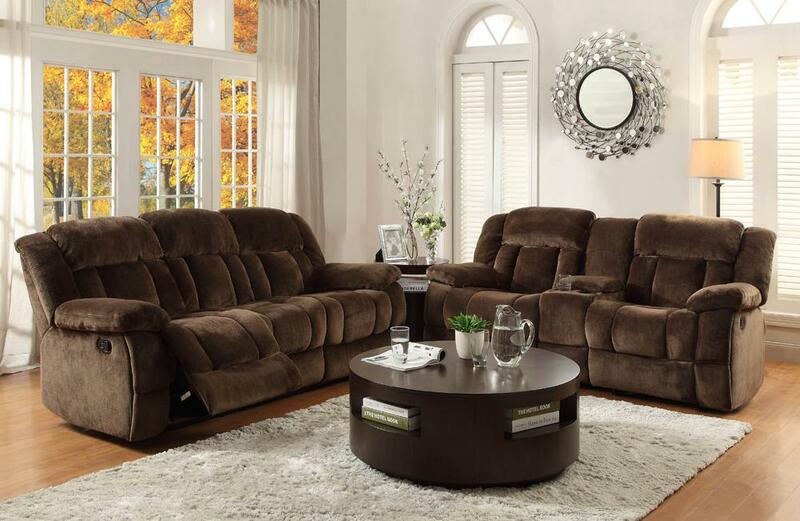 FEATURES: Charcoal / Chocolate Color ~ Contemporary / Transitional Style ~ Dual Reclining Ends ~ Plush Seating ~ Textured Microfiber Cover.